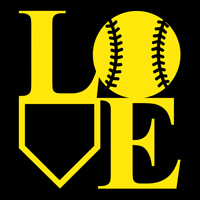 You live and breathe softball - Show your "LOVE" for your favorite sport! 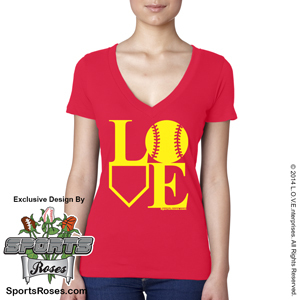 The Sports Roses™ exclusive "Softball LOVE" design is available in 6 different print colors and 9 different V-neck shirt colors. 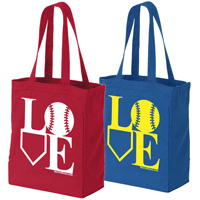 Pick your own color combination to match your favorite baseball team colors. 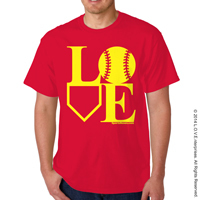 T-shirt is pre-shrunk 100% combed and ring-spun cotton light-weight super soft jersey knit deep v-neck t-shirt. From Jamie Schneider of Montgomery, Texas on 3/3/2015 . This is such a great shirt! The style is the perfect length and sizing is pretty accurate. . . .